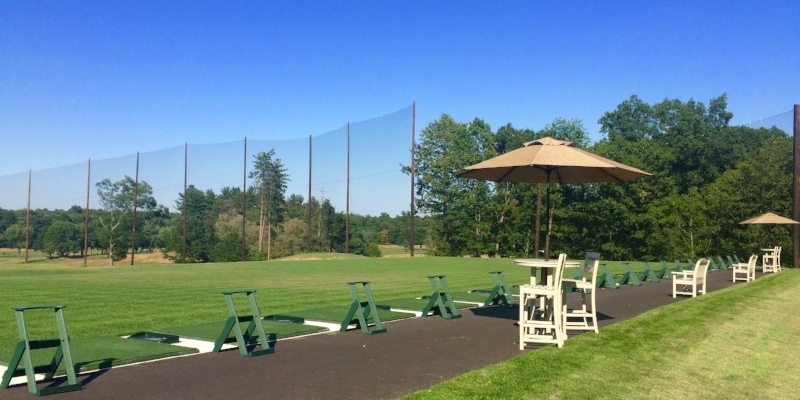 If you are looking for a driving range in Boston, hopefully you have a car since there are not too many options close to the City. No driving ranges in Boston are accessible by the T, although the new range at Brookline Golf Course would be your best bet if the T was your only option. Below highlights the best driving ranges in Boston. All of these ranges offer golf lessons, two of the ranges offer the ability to hit on grass versus mats, two ranges serve alcohol, and one driving range even offers live music on the weekends. So whether you are going for fun, or looking to have a productive driving range session, these should fit your needs. The Brookline Golf Course driving is the newest driving range in the city. It is the closest range to the city and offers a grass driving range versus just hitting on mats. There is a bar in the clubhouse where you can grab a beer and enjoy it on the range. Since the range is new, all of the golf balls are new too which is a nice bonus. This driving range closes at sundown which is unfortunate. McGolf is nice since it has 65 hitting bays offering the largest opportunity for many players to hit. The problem with this range is that you are hitting on mats, the balls are older, and you do not have the opportunity to hit on real grass. There is mini golf, ice cream, and the opportunity to purchase a membership in their short game area too. The range is open from 9 am to 9 pm with lights which is a nice bonus. Granite Links Golf Club has an amazing view of the City, lighted driving range, and a bar with live music at the range making this a very special place to hit balls. 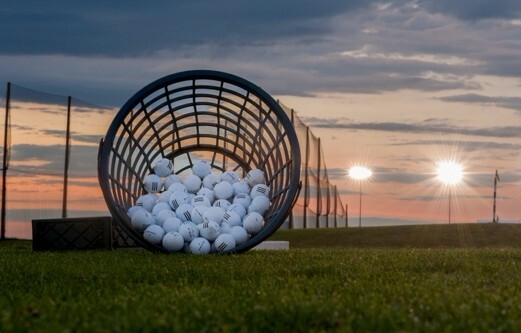 Although it is a great range, the balls are more expensive than other ranges, you are only able to hit off mats, and the range is often super windy making your practice sessions a bit more challenging. The driving range at Stone Meadow Golf in Lexington is pretty nice given the range offers the ability to hit off grass, has a short game practice area as well as boasts a 9 hole par 3 golf course. If you are looking to work on your game, this range is the best bet, but it is located furthest away from the city. Looking to take your range skills to the course? Check out the Nextgengolf Boston City Tour.